Many financial advisors will tell you that life insurance proceeds are “tax-free.” That is an exaggeration. Usually, life insurance death benefits are not subject to income tax. But what about the federal estate tax? If the estate is big enough, in 2016 greater than $5.43 million, the answer may surprise you. The death benefits paid on life insurance policies are subject to estate tax in two situations. First, if the death benefit is paid to the estate of the insured, then the whole amount of the death benefit is included in the estate and subject to estate tax. Second, if the deceased insured owned the policy on the date of death, the whole amount of the death benefit is included in the estate and subject to estate tax. Most people name individuals as beneficiaries, so the death benefit is not payable to an estate. The estate taxation of the insurance is usually governed by the second consideration, that is, the owner of the policy. Do you know who owns your insurance policies? An insurance policy is a contract between the owner of the policy and the insurance company. The terms of the contract provide that in exchange for the payment of premiums, the insurance company will pay a death benefit to a beneficiary designated by the owner. The time for the payment of the death benefit is the date of death of the insured. The owner has all the lifetime rights to the contract. The owner can borrow against the policy, cancel the policy and receive the cash surrender value, designate a beneficiary and exercise any policy options for the application of dividends or conversion features. The owner is the person who applies for the insurance coverage. Most of the time, the question of who should be the owner of the policy is not even discussed when the application for insurance is completed. Very often the insured is the owner. For example, if a husband wants to buy insurance on his own life, usually he is the applicant/owner. The husband’s life is insured, and wife is named as the primary beneficiary with the kids as contingent beneficiaries. If the husband dies first, the death benefit is paid to the wife. The full value of the death benefit is included in the estate. It is not taxed in this situation because it qualifies for the marital deduction. The wife then has access to these funds, and unless it is spent, it will be subject to an estate tax in her estate. If the wife dies first, then on the husband’s death, the death benefit is payable to the children. Since the husband was the owner of the policy, the death benefit is included in the estate and is subject to estate tax. Under current estate tax law, most assets that pass to a surviving spouse are not subject to estate tax. It is because there is a deduction available, called the marital deduction, for the value of all property passing to the surviving spouse. For couples that utilize this approach to their estate planning, there is no tax payable until the death of the survivor. Let’s assume that there is not a surviving spouse, either because the spouse predeceased, or the decedent was not married at the time of death. If the decedent was the owner of insurance policies insuring his or her life, the full value of the death benefit is subject to estate tax. Let’s assume the beneficiary is the decedent’s child. What if, instead of the decedent having been the owner of the policy, the child was the owner? If a child has a life insurance policy taken out on their parent(s), on the parent’s death the benefits are paid to the child, or to any beneficiary the child designates. How much of the death benefit is included in parent’s estate and subject to estate tax? Zero. That’s right – zero. The death benefit is received tax-free. Obviously, the ownership of life insurance policies is an important factor in how much estate tax is due. If the policy was for $500,000 and the estate is in the 50 percent bracket, we’re talking about saving $250,000 in tax. 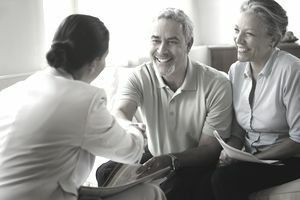 Changing the ownership of life insurance policies is an important estate planning technique. A change in ownership is a transfer of the policy and is considered a gift. The value of the gift is something called the “interpolated terminal reserve value” of the policy. The interpolated terminal reserve value is a complex calculation the insurance company will provide to you, and which, in my experience, always works out to something very close to the cash value of the policy. For the transfer technique to succeed in removing the death benefit from the taxable estate, the original owner must survive the transfer by three years. If death occurs within three years of the transfer, the decedent is deemed to be the owner of the policy and the full value of the death benefit is includable. The moral of the story is: Don’t wait; make the transfer as soon as you can. What is corporate-owned life insurance? Does a Payable On Death (POD) Account Make Sense?